Jonathan Tekell started his music career when he found himself unable to play any music at all. At the end of 2016, he had surgery to repair torn ligaments in his wrist. During his recovery, he sought God about what to do with music, and he felt led to write the music he could no longer play. What started out as a way of self-expression developed into a way of Christ-profession. God grew Jonathan’s vision for his music as an avenue for others to find purpose, peace, and a place for praising God. After recovering from surgery, he is now able to play music again. His debut album, entitled Love Me to Pieces, is a multi- and blended-genre exploration into Christian music, highlighting diversity with a foundation in the authentic worship of Jesus Christ. His music aims to stir a passion in people for Jesus by creating a diverse musical canvas on which a variety of listeners can paint their own life stories and be drawn to know Him personally. 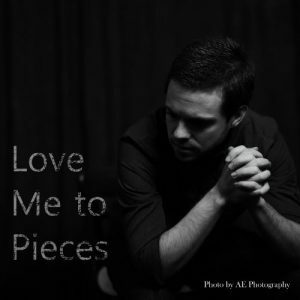 Love Me to Pieces features themes of rebellion, restoration, and worship through a variety of sounds and styles. He is accompanied by his wife, Jillian Tekell, in several of the songs on the album. The album is called Love Me to Pieces because of the major theme that wholeness comes in the place of brokenness, as we surrender and recognize our need for God. The variety of the album also speaks to the title, in that there are many different pieces of music making up one whole. Likewise, the Body of Christ is made up of many different parts, making up one Body. In this time of cultural tension, perhaps the diversity in this album would be an encouragement and celebration of the cultural diversity in the Body of Christ. We all come from different backgrounds, but we all belong to the Creator. We may look different or like different things, but we are all the same in our desperate need for Jesus. In heaven, there will be people worshiping God from every nation, every tribe and every language. So, Why don’t we start practicing now?! Wherever people are in life and whatever they are going through, there is something in this album for them. Whether they are close to God or hardened towards Him, these songs are meant to help them know more of the infinite depth of how God loves them to pieces, so that they would be made more whole in Him.